The Food Bank provides assistance to individuals and families who have difficulty purchasing enough food to avoid hunger. Hunger affects us all. It knows no age, it knows no race and it knows no season. There are many reasons to access the food bank: working for low wages, having hours cut back or losing a job, suffering from chronic illness or disability, living on a fixed income, or homelessness. 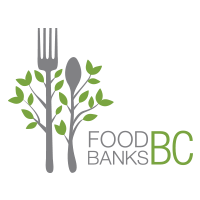 The Food Bank relies entirely on community donations of food and cash to purchase food. It is run entirely by a dedicated group of volunteers. Local financial funding allows Community Services the choice to support our local businesses by buying locally and enables them to provide a healthy, nutritious and protein enriched selection for all clients. SSI Community gardens. SSI Community Services is developing new ways to assist people with low incomes access healthy food, but as long as the need exists food banks are critical. In 2013 over 9,000 food bags and hampers were distributed. 30 percent of the people receiving food were children. The number of people receiving food every week has increased from 75 to 180 over the past eight years. Weekly Food Distribution takes place Tuesday 10:30 am to 3:45 pm. Access is open to all, but identification is required and verification of family size and composition. Families with young children may arrange for food box pick up at Family Place in a child friendly environment as an opportunity to access other services and supports. Special Dietary Needs are accommodated whenever possible. Let’s Do Brunch Hot Meal Program takes place Tuesday 9:30 to noon. People are welcome to drop in for breakfast or lunch in the basement of Community Services building. Christmas Hampers are distributed to individuals and families in need the week before Christmas. The hamper program works with Santa’s Workshop to add gifts for kids to family hampers. Individuals and families must register for a hamper prior to November 28th. Community Services Community Gardens are able to provide fresh, local, seasonal produce directly to food bank recipients. Volunteers are a crucial part of the Food Bank program. The Food Bank and Let’s Do Brunch programs are run solely by volunteers. With their dedicated generous contributions, we are able to package and distribute food, to prepare and serve hot meals, and to organize food drives helps to reduce hunger in our community. Food Bank Canada Guidelines on Distributing Food past the Best-Before Dates.